There is no greater feeling than helping someone in need and giving donations to the organisation or charities that need it the most. And the best part of it is the tax receipt benefits received from giving a tax deductible donation to a nonprofit organization. And if you are the organisation or charity that are the recipient of the donation, the best way to give them the satisfying feeling after they have made the donation is to issue them a tax receipt. And if you do not know how to do it, read through this article. 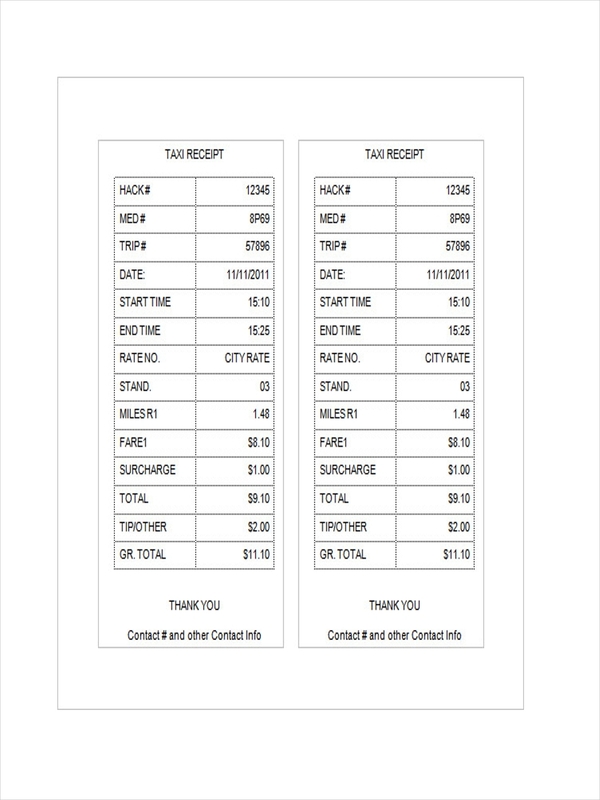 We also offer sample receipt template that you can use. 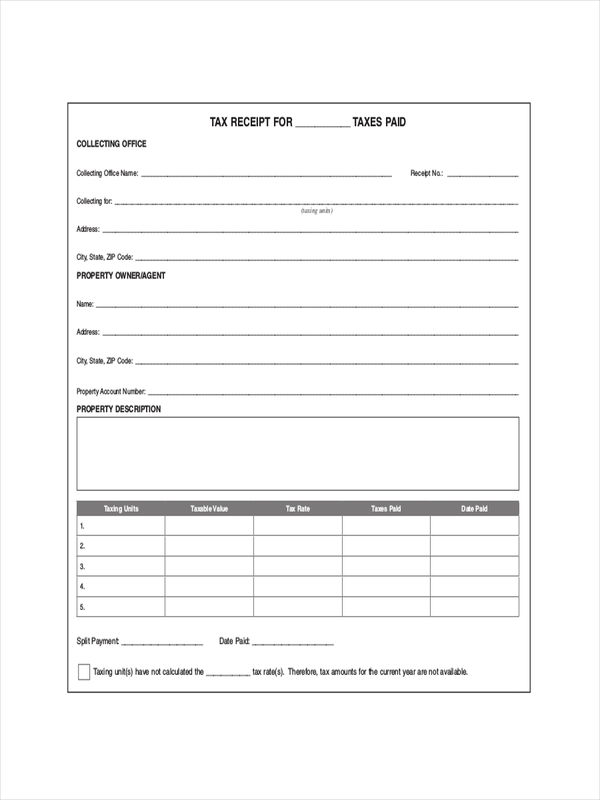 A donation tax receipt is a receipt used when the business accepts donations, such as cash or goods used. 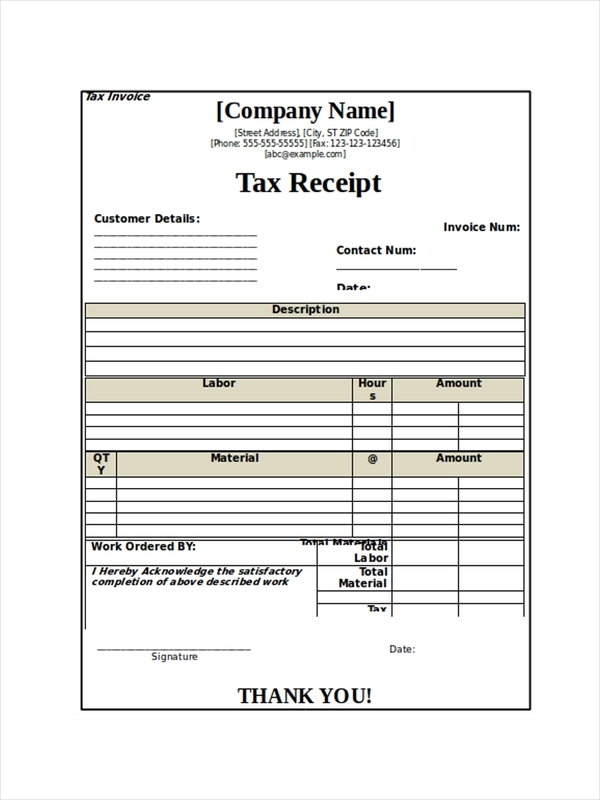 This receipt is generally used for tax purposes by an individual or organization who made the donations. The tax receipt shows a list of the value of the item for tax purposes. It also a way to know that the donation was received. 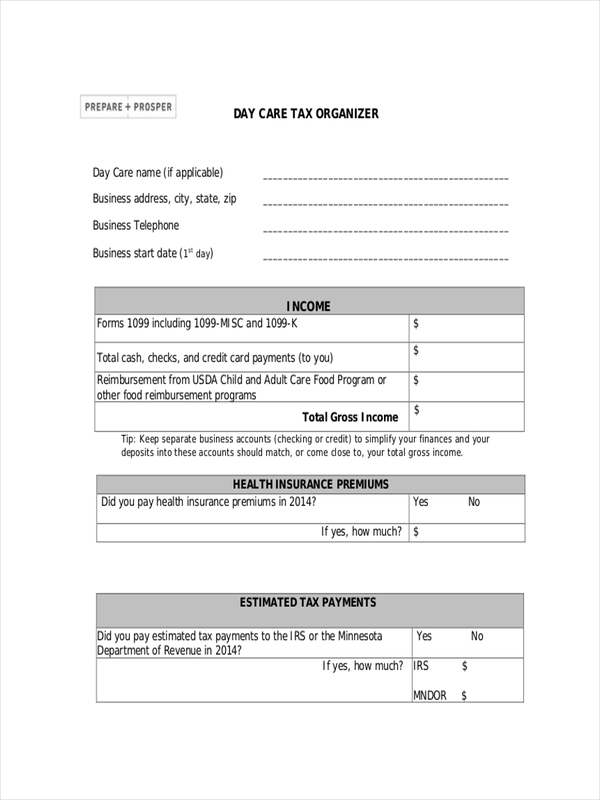 A tax receipt examples can be given out in person or mailed. It is important that the information on the tax receipt should be valid as this can be used many months later when a donor is filing taxes. 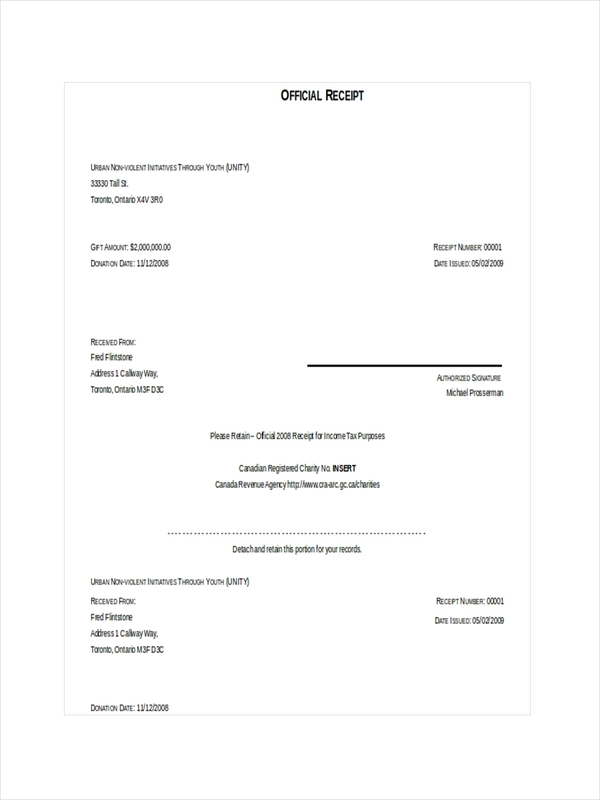 With a few simple steps, you can create a tax receipt template that is descriptive and you can use it every time a donation is made. The information on the tax receipt should include the following. The name of the donor and the organization you are representing. A list of items along with it corresponding values based on the fair market value. The information of any benefit or materials received from the donation. A tax invoice is the standard format invoice required under GST (Goods and Services Tax) system. The tax invoice usually appears on the balance sheet of a business. While the tax receipt, as mentioned above is a receipt showing the tax of goods donated by other party or organization. 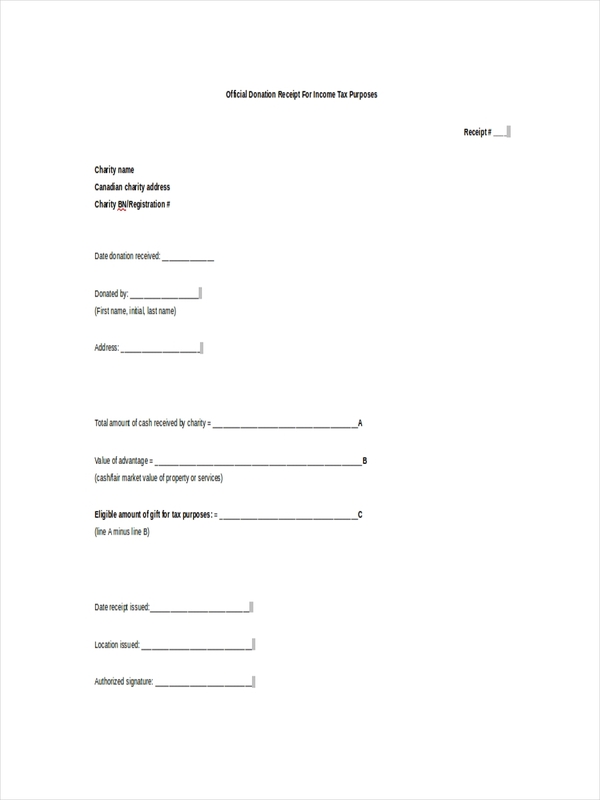 Check our tax invoice examples to give more ideas on what it is and what it looks like. Here are the guidelines for tax receipts. Individual donations of $5 or more with no benefit to the donor are eligible for a tax receipt. 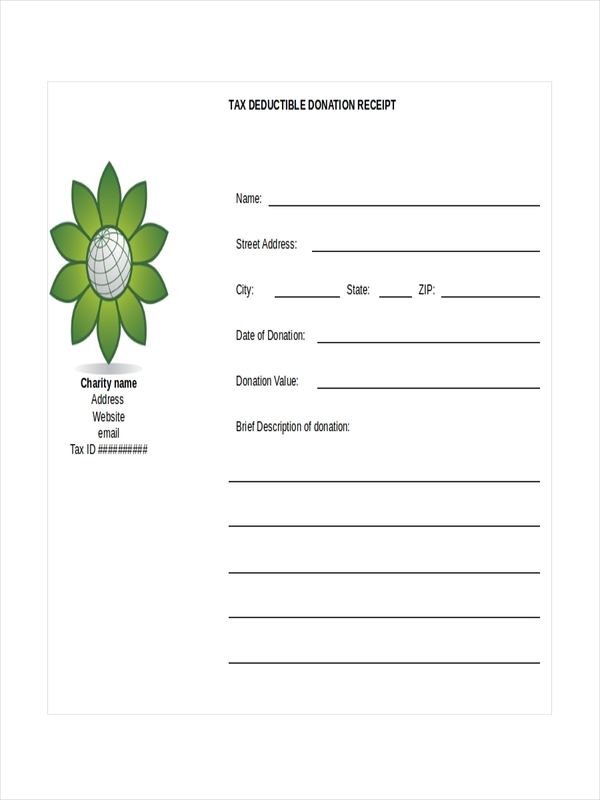 Corporate donation receipt with no benefit are also eligible for a tax receipt. The online tax receipt can only be used when the donations have made. 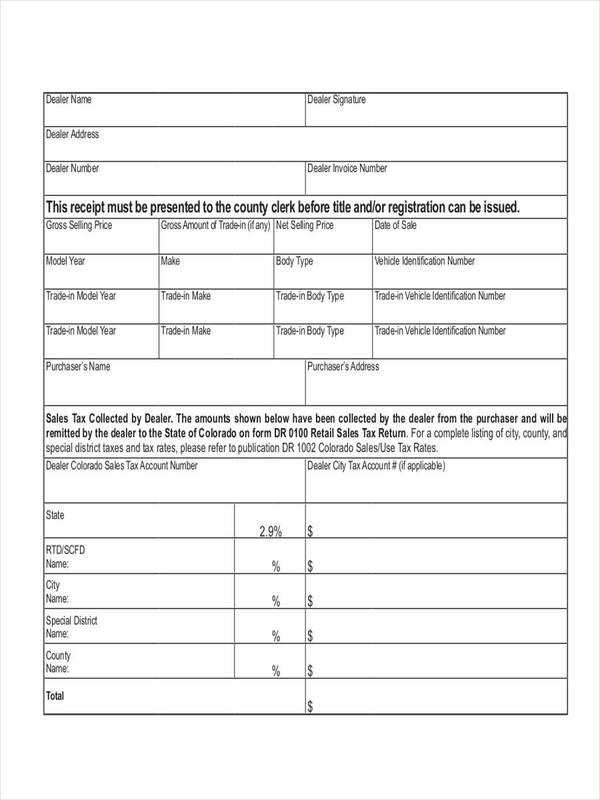 The amount of the tax receipt should be equal to the total amount of the ticket sale in the fundraising event. When an auction or a silent auction is present on the fundraising event, the item that has been sold is not eligible for a tax receipt. 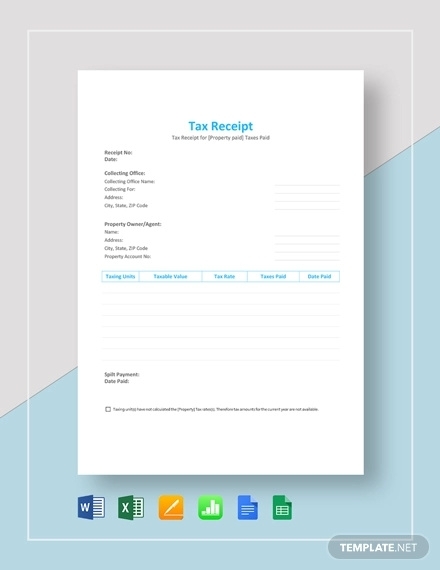 An electronic tax receipt can only be issued if the receipts contain all the required information. Gifts other than the money received in direct to the mail campaign is not eligible for a tax receipt.